Brand new luxury cars on the market have some of the best features and performance in new vehicles, such as the 2018 Maserati Levante. The 2018 Maserati Levante is a midsize SUV in the luxury segment and offers the best of performance, good looks and safety all in one vehicle. Levante made the first debut at the 2016 Geneva Motor Show and has fulfilled the SUV enthusiasts’ expectations. 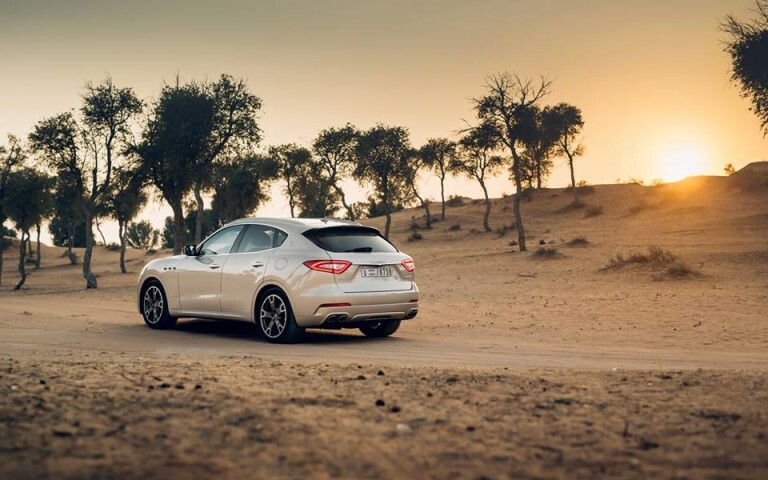 Levante was the first-ever SUV produced by the Maserati luxury brand and when brand new luxury cars are available in the market, the demand for a luxury SUV does not decrease at all. 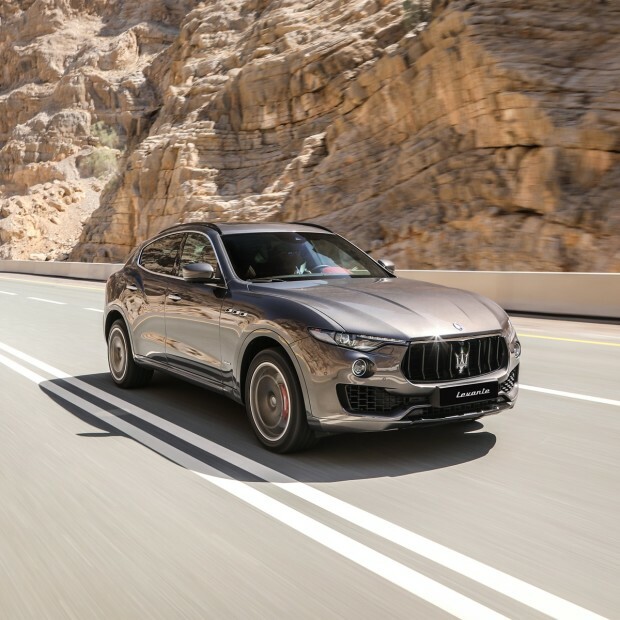 The premium appeal of the 2018 Maserati Levante and the luxury features it offers to make it stand out among the crowd and those who want a luxury, performance and a Maserati, do not have to look further. Available in two trim levels and two engine options this luxury SUV has numerous customization options for the buyers to make it as per their preferences. The aerodynamic design, luxury features, sportiness and performance of the 2018 Levante makes it one of the best buyers. From inside to outside, this luxury midsize SUV is perfect in terms of luxury, performance attributes and safety features, the cabin is ergonomic to provide maximum comfort and space. The occupants find plenty of infotainment features which make their rides enjoyable and the driver assistance system helps to deliver a smooth drive. Here are is a closer look at the design, performance attributes and advanced safety features of the 2018 Maserati levanter. 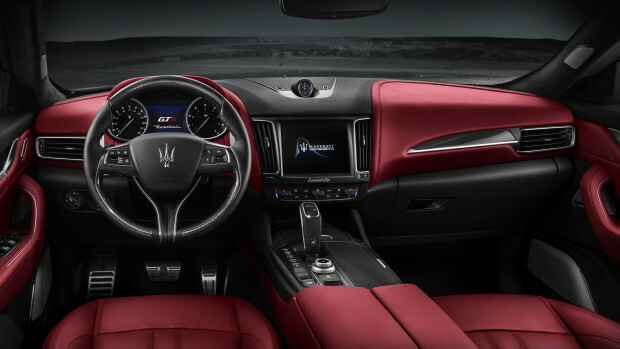 Maserati made the first-ever SUV of the brand, having an elegant design with sport elements and the luxury that matches with the brand reputation. The brand new luxury cars having a sporty design, stunning looks and an appeal to leave the audience awestruck makes them more desirable. The 2018 Maserati Levante has an elegant exterior which is a head-turner due to the luxurious appeal of this midsize SUV. The two trim levels in GranLusso and GranSport reflects from the name that this Maserati is sporty and edge which is true for the Levante. The advanced aerodynamics and elegant design language make the GranSport trim very sporty. While the GranLusso trim is luxurious and appealing. Brand new luxury cars having this latest Maserati Levante offers a commanding front fascia. The bold and wide grille of the front with a Trident logo looks very alluring. A sleek air dam joined with two large air intakes on the lower front bumper of the GranLusso trim is seen. Whereas, the GranSport trim is sporty from every side and gets the most advanced aerodynamics for this SUV. The GranSport trims have wider and larger air dam with sculpted air intakes that provide a better cooling function to the engine and enhanced aerodynamics. Both the trim levels are fitted with different size of alloy wheels, the GranLusso trim comes with 19-inch Zefiro light alloy wheels and the GranSport trim has 20-inch Nereo light alloy wheels. An iconic triple air vent on front wings is added for better airflow and enhanced aerodynamics. The 2018 Maserati Levante in brand new luxury cars midsize SUV segments is offered in 9 colours to choose from. That are Bianco Alpi, Nero, Nero Ribelle, Bianco, Grigio, Rame, Grigio Maratea, Blue Emozione and Blu Passione. Just like the exterior of this brand new luxury cars’ latest entry, the interior also reflects the luxury and true craftsmanship of the brand. Despite being a midsize SUV, the cabin is spacious and is fitted with all advanced and latest convenience features. The occupants of the GranLusso trim can enjoy the 12-way power adjustable comfort seats while the GranSport version has the 12-way power adjustable sport seats. The rear seats have a 60/40 split folding to provide better cargo space. Furthermore, buyers have a choice to choose between the genuine wood trim and Black Piano trim for the interior. Brand new luxury cars not only offer class and style, but also comes with abundant technological features including 7-inch TFT Driver Display, Dual Zone Automatic Climate Control System, Harman Kardon Premium Sound System with 14-speakers, Advanced Navigation System, Leather-wrapped Steering Wheel, Apple CarPlay, 8.4-inch Touch Control Plus Infotainment System, Siri, Android Auto, Voice Command System, and many others. The Maserati Levante 2018 has leather upholstered seats available in 3 colours (Cuoio, Nero, Sabbia) with four stitching styles (Cuoio, Nero, Rosso and Grigio). The 2018 Maserati levanter offers an all-wheel drive and comes with two performance engine options. Both the engines are paired with an 8-speed automatic transmission and advanced Active Air Suspension system. The first engine option is a 3.0-litre Turbocharged V6 engine that can produce 350 horsepower and 500Nm of torque. Furthermore, it can go from 0 to 100 Km/h in 6.0 seconds and has a top speed of 251 Km/h. whereas, the second engine is a turbocharged V6 engine capable of producing 430 horsepower and a 580Nm of torque. The 2018 Levante can go from 0 to 100 Km/h in just 5.2 seconds and has a top speed of 261 Km/h. Being one of the brand new luxury cars in the SUV segment, the all-new Levante has got style, class, performance and advanced safety features along with driver assistance systems. 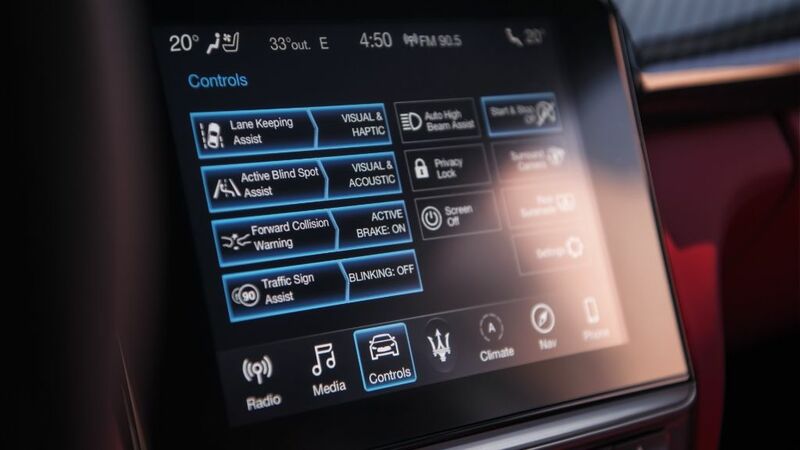 The technological and safety features ensure and enhance the occupants’ safety. They provide control over the vehicle and let the occupants enjoy a safe ride without compromising on comfort and convenience. 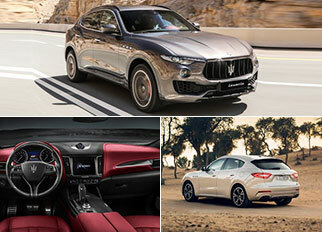 These are some of the notable safety features of the 2018 Levante with the advanced engineering of the Maserati. The 2018 Maserati Levante is available in the UAE and falls in the brand new luxury cars segment with an expensive price tag as well. The starting price is AED 345,450 and price increase as per the optional features and technologies are chosen in specific trim level.